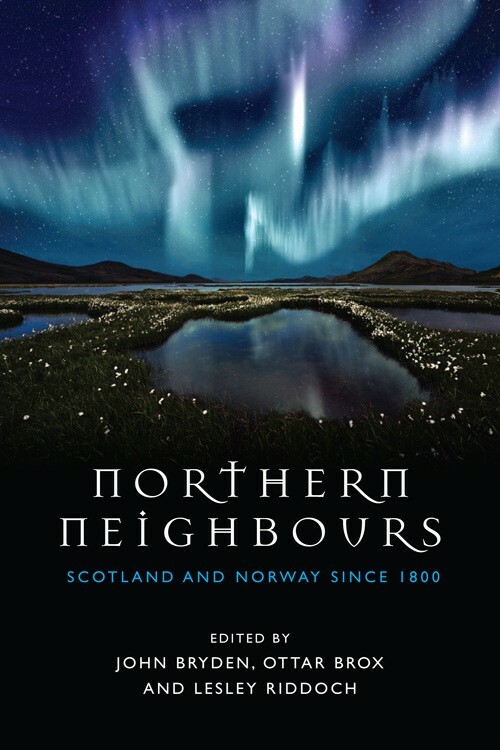 This book examines the factors which set Scotland and Norway on very different paths in the period from 1800. The authors identify the atrophy of the Norwegian aristocracy, greater autonomy following the break from Denmark in 1814 and early democratisation as being of significance in helping to keep people on the land. Unlike Scotland, Norway experienced no clearances. In Scotland, land ownership remained heavily concentrated in the hands of aristocratic estate owners following the Union and the restricted franchise kept political power in the hands of the landed interest. The people cleared from the land in the 18th and 19th Centuries provided a ready source of cheap labour for the increasingly coal-based industries of the Central Belt. From the late nineteenth century, Hydro-power and an alliance between Labour and farming allowed a dispersed and decentralised pattern of industrialiation. The number of Norwegian farms continued to grow during the first half of the twentieth century. Small farmer labourer families were able to maintain and develop their subsistence base at the same time as taking advantage of modern economic opportunities as they turned up. Subsistence farming and pluriactivity were options closed off to the urbanised Scottish workforce by those in power. Bryden challenges the view that the loss of Scotland’s heavy industry in the 20th Century was inevitable, seeing it as a casualty of post-Imperial ennui and neoliberal ideology (Page 143). He also points out that while the North of Scotland Hydro-Electric Board brought power to people in the glens, it failed to support Highland industry. The quality of the contributions to this book is variable. Ottar Brox’ ‘Reflections on the Making of Norway’ is particularly strong. Lesley Riddoch’s chapter on ‘Access, Nature, Culture and the Great Outdoors’ provides an interesting account of the fortunes of hutting in the two countries. Regrettably, this stops short of the changes to planning policy and building regulations which were introduced in 2014 with a view to facilitating a revival of hutting in Scotland. While the title of Riddoch’s chapter includes the word ‘Culture’, beyond the compulsory reference to Grieg, next to nothing is said about the arts. The book would have benefited from a comparative account of literature, drama, music and the visual arts in the two countries over the period. Also, while Tore T. Petersen perceptively draws attention to the striking absence of significant relations between Norway and the United Kingdom in the nineteenth and twentieth centuries, surprisingly little is said about the links which were forged between Norway and Scotland during World War 2, and nothing at all about the Norwegian student community in Edinburgh. Petersen does, however give an entertaining account of the state visit of the Norwegian Prime Minister Einar Gerhardsen in 1956, when the primary focus of British officials and diplomats was the failure of Gerhardsen’s wife to curtsy to the Queen. You can order it directly online from Edinburgh University Press and it should still be available from good bookshops. Alternatives to Amazon are available! “Our inability to think big”? Perhaps you are thinking of somewhere else? Or perhaps you have overlooked the 19th Century? One of the key points the book makes is that sticking with small-farm subsistence agriculture was one of the key factors which enabled Norway to develop the successful advanced economy it has now.